Magento is a good platform for those of you who want to sell products online. The content management system is built from the ground up to support online stores and ecommerce. Although Magento can perform very well under different situations, there are ways you can optimize your Magento store for maximum performance and speed. We are going to discuss some of the best optimization tips to apply in this article. It is easy to settle for an affordable shared hosting simply because Magento works well with any server that supports PHP and MySQL. That said, you can get a much better performance by opting for the right web hosting service for your Magento site. For example, Magento will perform better with the help of Nginx or Varnish. In fact, a lot of avid Magento developers have proven that running Magento on a good server with Varnish or Nginx configured for caching can increase Magento’s performance by 200% or more. This is because Magento works really well with these caching setups. You can either go for a Magento hosting service that has a good caching feature preconfigured, or simply opt for a VPS server and configure everything yourself. There are plenty of tutorials that can help you get the most performance with the right server setup. They are very easy to follow and doesn’t require advanced server knowledge in most cases. If you do however want to use a regular cPanel host, there is a major advantage. Lots of the later releases of cPanel come with a quick and easy way to launch a magento store such methods are outlined here so if you’re not too experienced, perhaps this might be a better option. If you want to go down the manual setup route though then please do read on. Images can help sell products visually, but that doesn’t mean they have to be large and bulky. Tools such as Adobe Photoshop offers assistance in optimizing and compressing JPG and PNG files for web purposes. Be sure to use these tools to help you get the best image quality at the lowest file size. Be sure to debug the Magento site before deploying it on a live server. 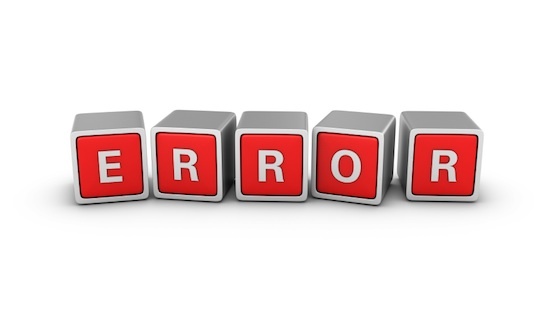 Errors, even the smallest HTML errors, can slow down a site greatly. Magento has a very intuitive logging capabilities, so checking for errors before deployment shouldn’t be difficult at all. Now that you have reviewed the errors and deal with them, you can disable Magento logging for deployment. The basic logging feature is actually very efficient. However, modules, themes and other parts of your ecommerce site may ask Magento to write more logs than just the basic. This, obviously, can slow your site down. Unless you need the logs for debugging purposes, it is better to disable them entirely. This is another module you can use to optimize your site. Magento Complier limits the number of directories searched during a PHP execution. The impact of Magento Complier may not seem significant at first, but it will actually help your site perform better – and reduce server load – under heavy traffic. Last but certainly not least, disable Magento modules that are not in use. These modules can slow down your site even when they are not in use. You still have the option to activate modules that you need in the future, but it’s best to disable them completely for now. It is always best to have the main contents of your site load as quickly as possible to keep visitors from leaving. One of the easiest ways to do this is by incorporating Lazyload to handle image loading. This being Magento, you can find modules that allow you to automatically structure how images are loaded accordingly. With Lazyload, images are loaded in the background once as the page is being loaded. Visitors can see contents appearing on their screen, even with images still loading in the background. Catalogues will load faster and the overall performance of your Magento store can be improved. 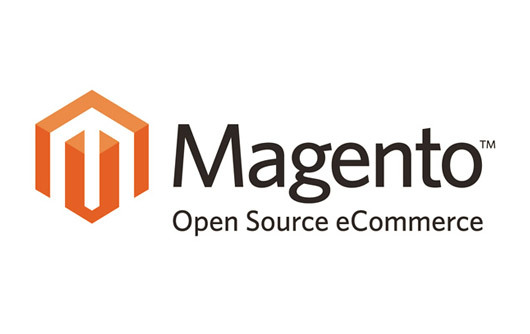 This is more for advanced users, but it is not a secret that Magento works well with PHP accelerators. Opcode caching allows PHP files to be complied into bytecode, which makes the whole system runs faster. The server doesn’t need to compile PHP files on every request and can instead run at the bytecode directly. APC and ZendOptimizer+ are great for those of you running Magento stores. Both PHP accelerators work really well with Magento and can help speed up your store by a further 50%. With visitors’ attention span being as limited as today, no performance boost is too small to pursue. You’ve decided to stake out your online identity and build your personal brand. You might start with a LinkedIn account to let potential employers check out your skills and work experience. You may join one (or a number of) the sites your friends are using, like Twitter or Pinterest. While every social media site offers you an opportunity to shape your brand, it can be hard to give the world a good sense of who you are in only 140 characters. This is why you turn to Tumblr. Tumblr is a platform used by both brands and individuals to create, curate, and share content. Through Tumblr you can easily post text, photos, quotes, links, music, and videos, allowing your Tumblr to act as a hub for everything you’re sharing online. While posting original content is key for developing your personal brand, you can also showcase other people’s content using the “reblog” and “like” functions. Tumblr is made up of two components: your dashboard, and your blog. Once you create an account you can begin to follow other people. Find users with similar interests by searching for specific tags, such as #photography. Soon your dashboard will be filled with a steady stream of content from the blogs you follow. When you really like a certain post you can reblog it and it will appear on your own Tumblr. Your personal blog can be viewed by both Tumblr users and non-users alike. Keep in mind that because Tumblr doesn’t use algorithms, everything you post will appear in your followers’ dashboards; while you want to provide enough content to engage them, avoid flooding their dashboards with endless posts and reblogs. Not only can you let your personality shine through on Tumblr through the content you share, but also through the design you select. The site is highly customizable, allowing you to choose your own URL, layout, and colour scheme. While Tumblr is free to use, premium designs are only available for a price. However, with so many free themes to choose from and the ability to develop your own, you can quickly create a unique personal site without investing much time or money. Just because your Tumblr doesn’t take long 10f8 to set up, don’t underestimate the amount of time you’ll need to devote to it. Before you get started, Neil Patel suggests you ask yourself whether or not you’ll be able to keep up your Tumblr in the long run. Sporadic posts won’t help you to build and maintain followers; keep them engaged by regularly sharing interesting content. Tumblr is very visual in nature, so think about how you can express your brand through images as well as words. Ultimately, Tumblr is your opportunity to tell your story, using whatever mediums you like best. Show off your personality through your design, or tell people what’s important to you with the content you post and reblog. You’re more than just a name and a profile picture, so use Tumblr to highlight content that represents who you are, and watch as your personal brand takes shape. What should a blog look like? Does it need to be an all-different, unique alien looking thing? Is it enough to make something that is a clone of the most popular blog? These are some simple, yet confusing thoughts that enter into someone’s mind while creating a blog. Many have the false notion that blogging is the easiest way to make money. They think that you type in a couple of paragraphs a day and make huge amount of money. However, it is not true. To be honest, a blog has to be well maintained for a couple of years before any significant earnings can be expected. Primarily, write about things that you know very well. The write up should be having new piece of information plus your comment on the particular issue. You could easily make your blog a platform for serious discussion if you choose topics with discretion. The topics that you select have to be of contemporary value. You should encourage the visitors to post their comments, so that it will make the session livelier. Secondly, never forget to update the blog. Do it on a regular basis. Instead of writing long, boring blogs, cut them into small segments and post it separately. This will increase the number of blog posts and more importantly enhance the blog traffic by a great deal. Another thing that you need to set in your mind is the frequency of your posts. Frequently posting is essential, you want your readers to have a reason to come back, no new posts equals no repeat visits. Finally, a good title with a great use of keyword in the body text makes a perfect blog article. However, where can you find out these keywords? It is now possible to track down the hottest keywords as well. There are sites that provide a vast amount of keywords. There are many keyword-ranking tools in the internet. 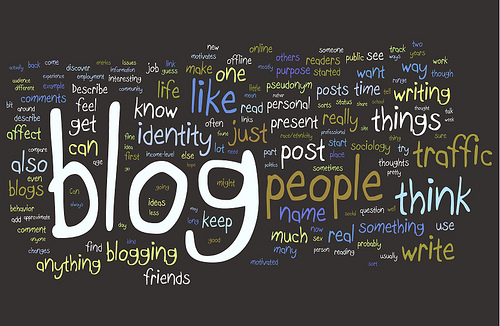 Having read the whole thing, why should you shy away from making the perfect blog? Keep all of this in mind when starting your blog and you are sure to enjoy an increased amount of success.